Getting the largest screen real estate for a laptop means no less than 17 inches (though there are 18-inch laptops out there). The larger the screen, the higher the price tag and if combined with a graphics engine that can delight serious gamers, such a laptop would no doubt be top-of-the-line. They can well replace your desktop gaming workstation or at least serve as your back-up or portable gaming computer in case you have to take extended trips or be on a holiday. Full HD display. This means 1920 x 1080 resolution, not 1600 x 900 which may be good enough in casual gaming but certainly not when you want to enjoy the full HD benefits offered by sophisticated RPG and FDP gamers released over the last two years. IPS Display. LED backlighting is fairly common to virtually all laptops in the market over the last two years. What is not common is the use of In-Plane Switching LCD or IPS display that is used by iPhone. Most are using the standard TN (Twisted Nematic) type which are cheaper and have evolved to have excellent contrast ratios and response times. The advantages of an IPS screen are better color saturation, better color accuracy and consistency across a wider viewing angle, but at 15% higher energy footprint. An IPS will serve multimedia displays like watching HD movies when you have a few friends on the sides watching the laptop. But for gamers who are always seat straight glued in front of the screen, this may not matter much. With all things equal, a laptop with an IPS display will certainly cost a few dollars more. Quad Core CPU. While the CPU has less profound influence on the performance of games for a given graphic card, and that few games in the market are optimized for quad core computing, this is recommended for future proofing your investment in gaming laptops. Regardless of which quad core CPU is used, a large L3 cache is also recommended, typically 6-8 MB. Solid State Drive (SSD). Serious gamers who have seen how fast their games launch and in loading new textures from screen to screen or in entering new gaming levels when using SSD will never go back to not having one. 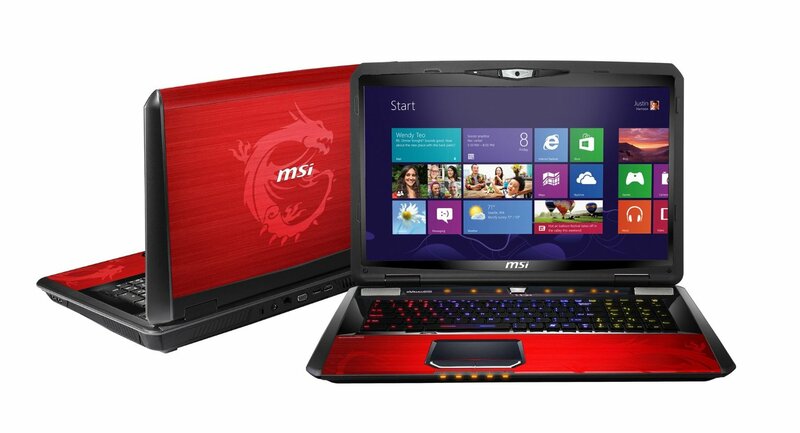 This is a must for a gaming laptop to further enhance its gaming performance. The graphics card. More than anything, the GPU determines how good a gaming laptop is. The best gaming laptops use Class 1 graphics card from either NVidia GeForce, NVidia Quadro or from AMD Radeon. With their own video RAM these graphics cards can smoothly process the complex textures and vector images to play virtually all the sophisticated RPG and FSP games released over the last 2 years at Full HD resolution and at high to ultra game settings. Our minimum threshold for a laptop to be considered for casual gaming is the Intel HD Graphics 4000 which can scale up to 4600 but both remain in the Class 3 category. For purposes of choosing the best gaming laptop, we only considered Class 1 GPUs with ranks 1-20 as shown in the Table 1which lists only a snapshot of the first 40 or so powerful graphics cards among the 60 first rate GPUs in the Class 1 category that are sure to delight most serious gamers. Lower than the NVidia GeForce GTX 660M in rank will cause some games like SimCity(2013), Crysis 3 (2013), Hitman: Absolution (2012), and Max Payne 3 (2012) to not play even below game settings. We would have preferred to recommend laptops using only the top 6 GPUs but only a few laptops use them while some graphics cards in the top 1-6 ranks are still upcoming and not available in gaming laptops as of this writing. Table 1: Highest ranking graphics cards in the Class 1 category. 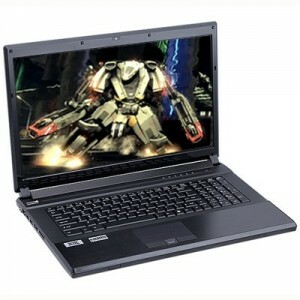 If budget is not a problem, top-of-the line 17-inch laptops are a natural choice among serious gamers. But it pays to know that even among the cream of the crop, some are still better than other when playing the latest RPG and FSP games. It can be difficult to know what your best option is at any price range without having an idea of what a reference gaming laptop is or the last word in a 17-inch laptop that exhibits the best gaming prowess pound for pound, regardless of the price tag. Here are our recommended 17-inch gaming laptops we have tested and are certain to delight even the most demanding gamers out there. LOL! All I can say that it’s a beast laptop, perfect for 3d renderers, designers and etc. Easily one of the more expensive gaming laptops in the market at $3,849, this Dell Precision M6700 is powered by the top-of-the-line Intel quad core i7-3920XM with 8MB L3 Cache and clocked at 2.9GHz that can be dynamically boosted to 3.8 GHz using Turbo Boost technology. Only a quad core desktop can provide better performance. It comes with a 32GB DDR 3 system RAM (8GB x 4 banks) running at 1600MHz. Its 17.3-inch LED backlit full HD (1920 x 1080) resolution IPS screen is driven by the high end DirectX 11.1 enabled NVidia Quadro K5000M with 4GB GDDR4 video RAM and comes between the NVidia GTX 680M and the GTX 675M in performance. It can play all recent RPG and FSP games seamlessly at their highest game settings with the exception of Crysis 3 (2013), Hitman: Absolution, Tomb Raider (2013), Far Cry (2012) and Assassin’s Creed III (2012) at their ultra game settings. It comes with a 1TB SATA hard drive running at 5400 rpm complimented by a 256 GB mSATA solid state drive. Multimedia is served with a read-only Blu-ray optical drive that serves as a SuperMulti DVD/CD writer/reader combo. It comes with the 64-bit Windows 7 Professional pre-installed. 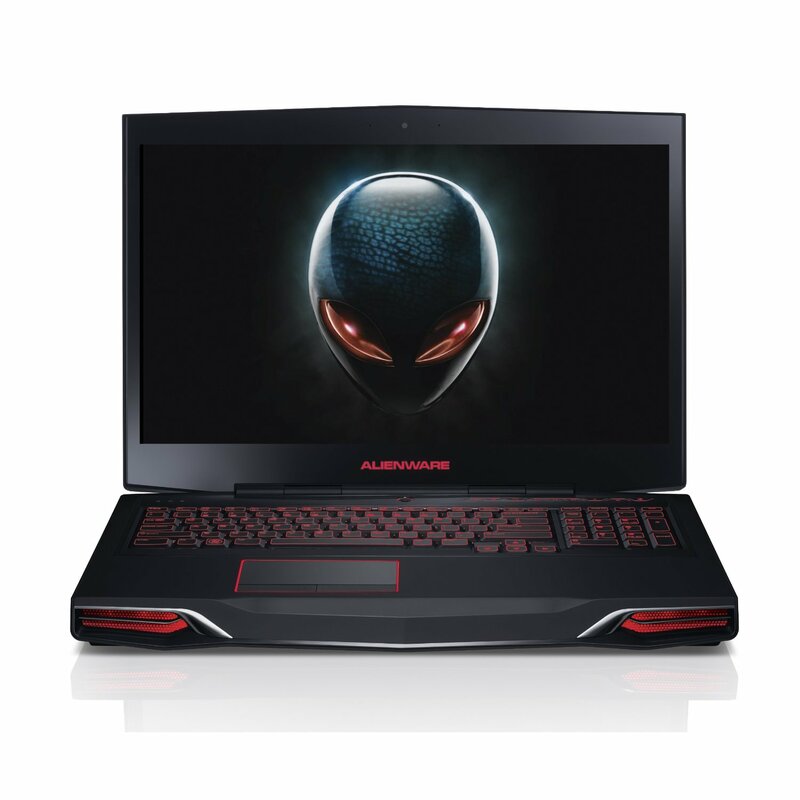 Named the king of Gaming Laptops – Alienware came to 2013 with style, Introducing their latest top of the line Mx17 packed with super specs like alienware always does. The 2013 iteration of its now-famous m17x flagship laptop is the Dell Alienware M17x R4 AM17xR4-CTO which costs $3,200. Housed in stealth black and soft touch body finish, it offers desktop-grade computing muscle that leverages on its tradition of being one of the most popular gaming laptops in the world. It is powered by a 3rd generation Intel quad core i7-3940XM with 6MB L3 cache and clocked at 3.0GHz that can reach 3.9GHz with Turbo boost technology. It is supported by a 32GB DDR3 system RAM running at 1600MHz and using 4 DIMM banks of 8GB each. This m17xR4 specimen drives its stunning HD 1920 x 1080 resolution 17.3-inch LED-backlit LCD display with a high end Nvidia GeForce GTX 675M graphics engine. It belongs in the family of GTX 600M series graphic cards for laptops. With a 2GB GDDR5 video RAM, it can play Crysis 3 and Tomb Raider just recently released at high game settings that maximizes the laptop’s high definition display. It has a 1TB 5400 rpm SATA hard drive and a 256GB SSD, as well as an 8x SuperMulti optical drive housed in a less-than 10-lb body that is typical of most powerful gaming laptops. It is pre-installed with a 64-bit Windows 8 Premium Home edition OS. Warning! for those best price for performance and best deal seekers, this ones the laptop for you.. Packed with super octane speed and power this laptops packs a punch for a cheap price. At $1,712.79, this unit appears to be the 2013 iteration for the popular ASUS G75VW-DS72 that is similarly configured. No less as heavy as other muscled gaming laptops, this 9.9 lb G75VX-DH72-CA laptop is just 1.3-inch thick and is powered by the Intel quad core i7 3630QM CPU clocked at 2.4GHz. It is supported by a 16GB DDR3 SDRAM running at 1600MHz. Its 17.3-inch full HD (1920 x 1080) resolution LED backlit display is powered by the Class 1 NVidia GeForce GTX 670MX considered one of the fastest single chip GPU with its own 3GB GDDR5 video RAM that can fully maximizes a 64-bit Windows 8 OS pre-installed with the unit. It has a modest 500GB 7200 rpm SATA hard drive and 256GB SSD along with a Blu-ray DVD Combo optical drive. If your lookin for a cheap but powerful laptop, and willing to pick speed in expense of the looks and design for a cheaper price, then this might be the laptop fit for you. At a mere $1,688, this laptop has to be the most affordable gaming laptop. It 17.3-inch full HD resolution LED-backlit screen is driven by one of the most powerful single card GPU – the AMD Radeon 7970M with its own 2GB GDDR5 video RAM, about the equal of the GeForce GTX 680M.. With the exception of Crysis 3 (2013), and Assassin’s Creed III (2012) that won’t play at ultra game setting, and a low fps in Sleeping Dogs (2012), and Guild Wars 2 (2012) at those settings, the HD 7970M lets you play just about all the sophisticated RPG and FSP games in the market today at high to ultra game settings. Its CPU is a 3rd generation Intel quad core i7-3610QM with 6MB L3 Cache and clocked at 2.3GHz up to 3.3 GHz from its Turbo Boost technology and supported by a 16 GB DDR3 system RAM (4GB on each of the 4 banks) running at 1600 MHz. It comes with a 1TB SATA drives running at 7200 rpm. While there is no SSD, it is equipped with a Blu-ray ROM that serves as a multiformat optical drive, all housed in a brushed metal onyx finish body with lighted keyboards, an 1.8-inch profile, and weighing 8.6 lbs. 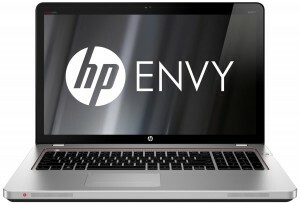 The name says it all “ENVY” its a sleek good looking laptop packed with strong specs like quadcore i7 and 7850 gpu, its a perfect replacement for your usual gaming computer. At $1,389.00, discounted from its $1,449.99 MSRP, this HP Envy can be considered one of the best 17-inch gaming laptops if gamers value the HP brand more than anything. 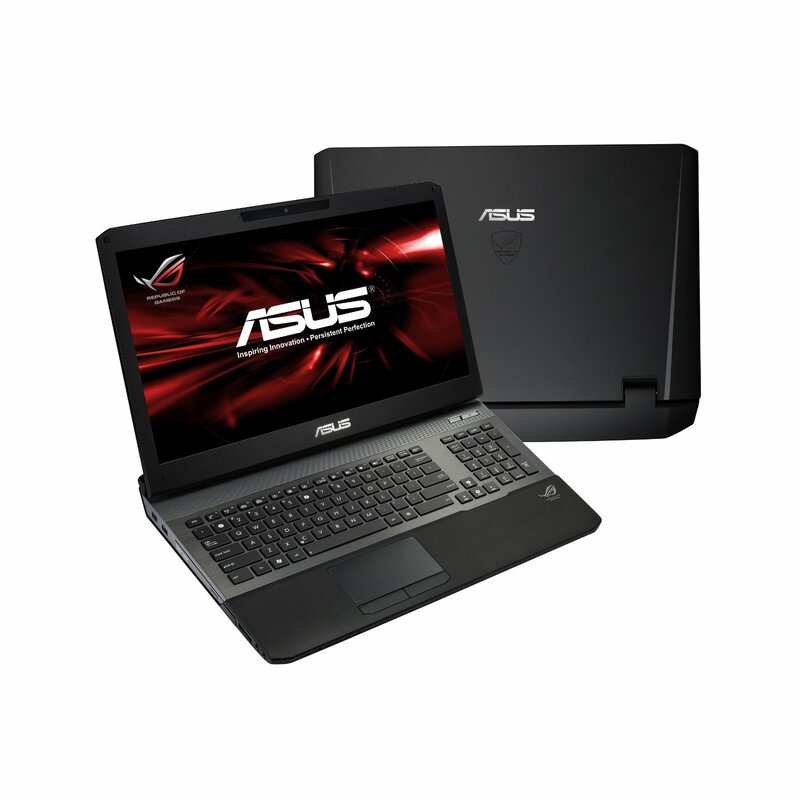 It is powered by the Intel quad core i7-3610QM Processor with 8MB cache and clocked at 2.3GHz. It comes with an 8 GB SDRAM that can be upgraded to 16 GB, a 750GB hard drive running at 7200rpm and a SuperMulti optical DVD/CD writer on a body with lighted keyboard, a 1/3-inch profile and a lightweight 7.4 lbs. Its 17.3-inch LED backlit screen gets a full HD resolution (1920 x 1080) and is driven by the AMD Radeon HD 7850 M graphics card that qualifies this laptop as one of the most competent gaming laptops in the market. It is pre-installed with Windows 7 Home Premium 64-bit. The best gaming laptops need to use no less than any of the first 20 Class 1 graphics engines available from NVidia or AMD. They can be configured wither as single cards or in SLI or Crossfire mode from two or more cards working together. With an effort to consider only the most affordable quad core 17-inch full HD laptops, there are several in the market and the specimens listed above are currently recommended, though we know there are more powerful 17-inchers but at prices that can close your bank account. They can serve as reference for your next gaming laptop purchase or to help guide you in your selection of laptops below these price points. If you find a laptop costing more, be sure it deserves to cost more, otherwise, you could be getting an overpriced one with nothing to show other than some fuzzy brand prestige. 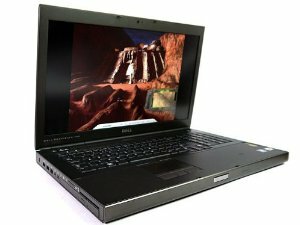 Best 17 inches gaming laptop reviews, comparisons, benchmarks and summaries. With quad core as the basic CPU configuration with at least 8GB of system RAM, we came up with a list of recommended 17-inch gaming laptops using any of the top 40 or so graphics cards in the market today. Prices range from a beefy $3,850 to a modest $1,390 for quad core laptops with varying hardware configuration but each one using the most powerful graphics cards that should delight serious gamers immensely.